Picket fencing was once very common throughout the UK. However, the increasing popularity of other kinds of fencing has made it out of fashion. Even so, we have many clients that still opt to maintain a traditional atmosphere within their gardens and request us to erect picket fences. The reason for that is because their design comes instills a sense of uniformity. Additionally, when they’re kept unpainted, picket fencing is also capable of bringing forth a warm rustic feeling to your property. One great thing about picket fencing is their sheer versatility. Individuals can personalise them by colouring them accordingly to suit them. Aside from that, it’s possible to build them on both paved and grassy surfaces. Moreover, they come in two designs which are uniquely distinct from one another. The former is oftentimes more visually enticing and has a lighter vibe whereas the latter is better suited for maintaining one’s privacy and security. Lots of people opt to have a picket fence built around swimming pools to keep children safe and pets away from accidentally getting into the water. Furthermore, they also serve as a great tool for screening off the places in your home that you don’t want kids to visit. Additionally, they can also beautify your garden or outdoor space. 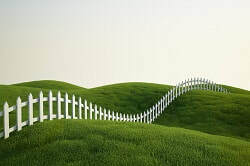 Needless to say, there are indeed a plethora of other ways which picket fences may get utilised for. As a matter of fact, the number one thing that often limits you are the boundaries of your imagination. 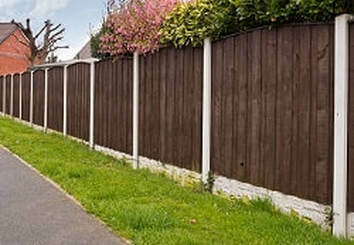 Birmingham Fence Contractors are more than willing to help you plan and build the picket fence of your dreams. We’re a reliable group of professionals that are experts that specialise at everything that’s related to fencing. Although we mostly operate in the city, our team also works in nearby localities. The majority of our clients are residents and representatives of public establishments like schools and restaurants. Hence, anyone that wishes to employ us is more than welcome to since we give value to any type of patronage. If you wish to employ our services, please call 0121 405 1202 to speak to a representative of ours’ within a moment’s notice. Apart from that, it’s also possible to get in touch with us by simply filling up the form on this website. Following that, you can then expect a response from our end within the end of the day as nothing makes us feel better than being able to acquire, serve, and build a lasting relationship with a new client.